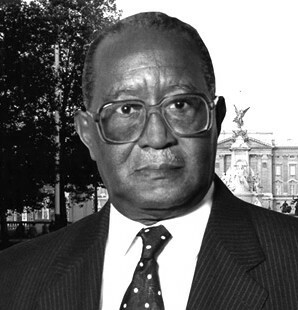 It was with great sadness that the nation learned of the death of Sir Reginald Palmer, the fourth Governor-General of Grenada. I knew Sir Reggie from my childhood. He was a close friend and colleague of my late father, Allan La Grenade, when they were both civil servants at the Department of Education, striving to improve the standard of education in our country. Sir Reginald was instrumental in the establishment of the highly sought-after AA La Grenade Award Shield, given to the top performing student in Technical and Vocational subjects at the CSEC level of the Caribbean Examination Council, attesting to his firm belief that skills training goes hand in hand with academic excellence in order to attain progress and development. Sir Reginald also played an active role in the development of the GUT, an organization at which he served at the highest level. As Governor-General, he served our country with distinction from 1992 to 1996. Grenada has been fortunate to have benefited from Sir Reginald’s warm and cheerful spirit, his abiding belief in duty and service to country, his devotion to God and family. On behalf of the people of Grenada, Carriacou and Petite Martinique, and on my own behalf, I extend deep sympathy to Lady Palmer and the family of the late Sir Reginald Palmer during their time of grief. May God give them the strength to bear the pain of this great loss. A good heart has stopped beating. May his soul rest in peace.